This deck was in really bad shape. 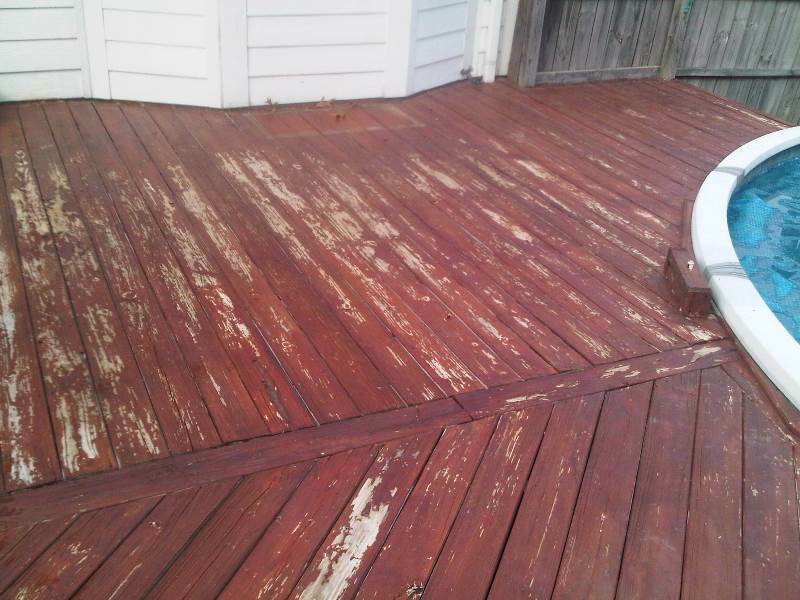 But with our knowledge we were able to identify the problem and make it look like it was stained for the very first time. 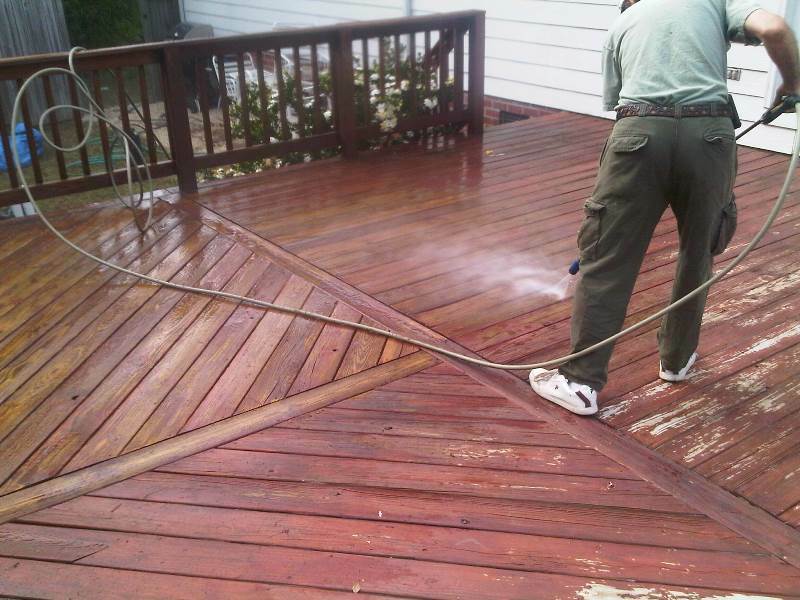 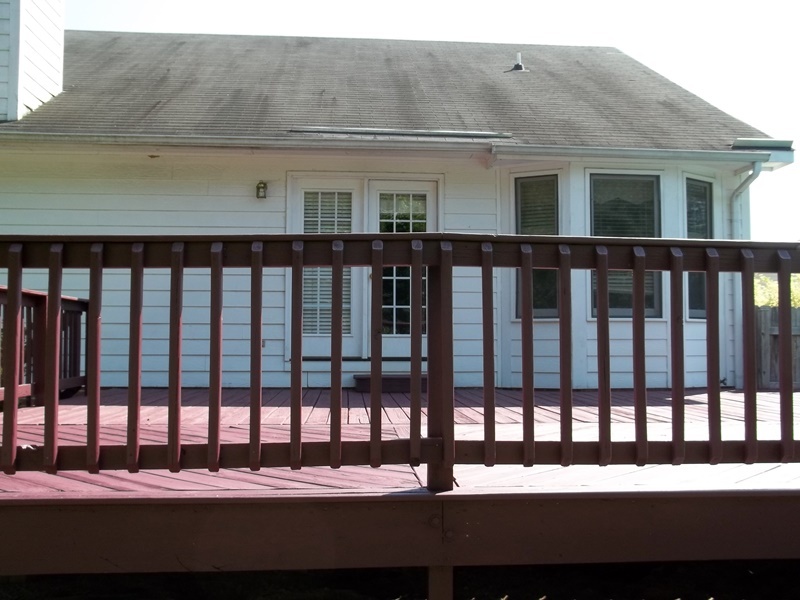 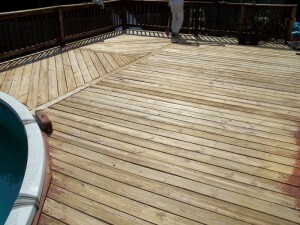 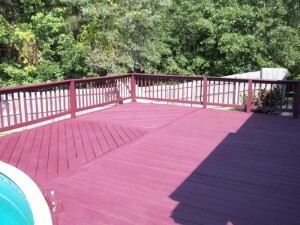 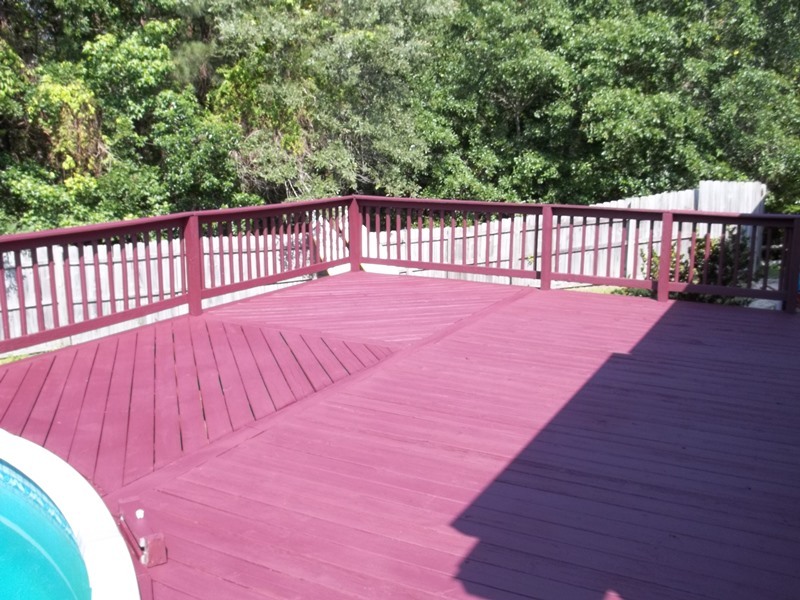 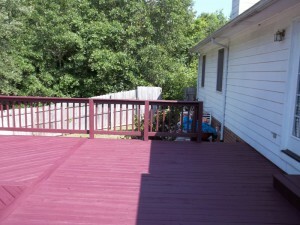 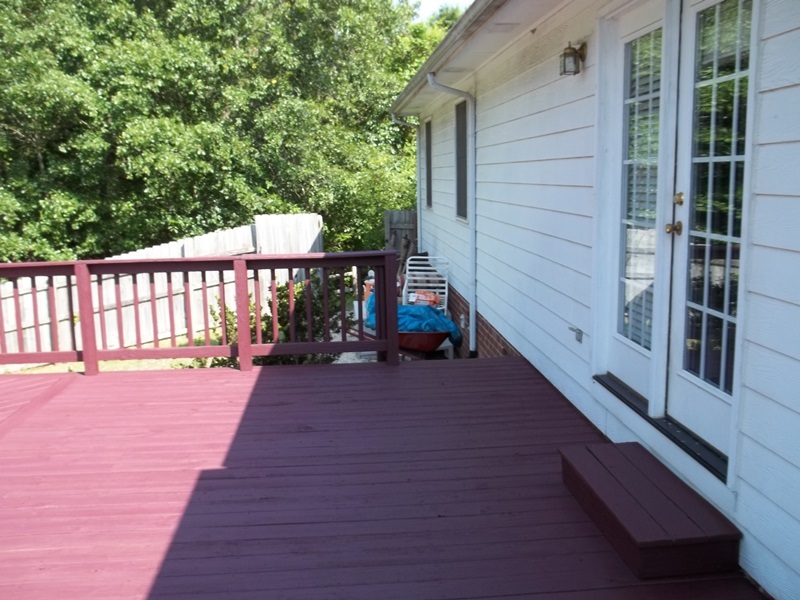 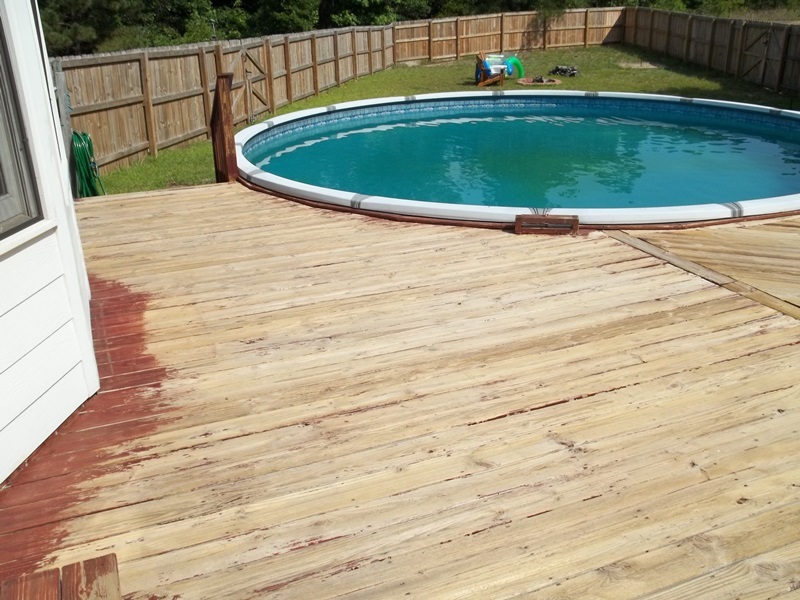 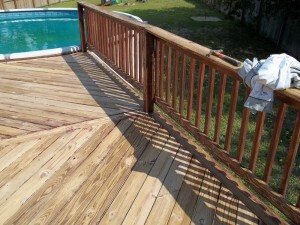 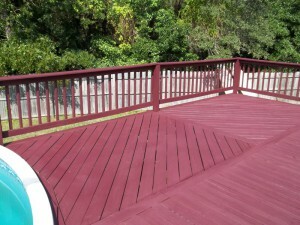 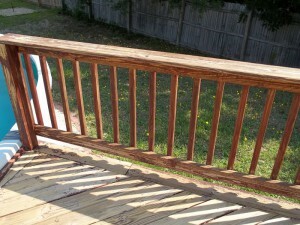 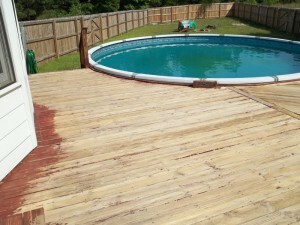 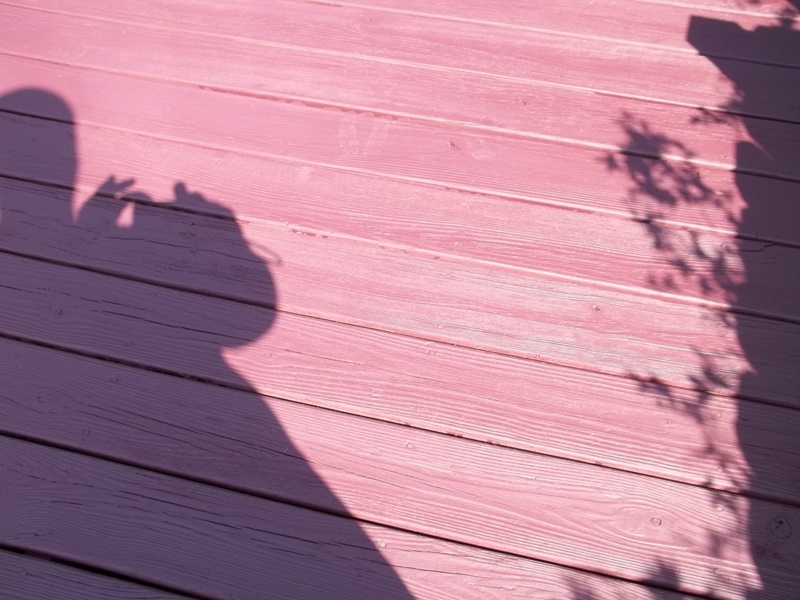 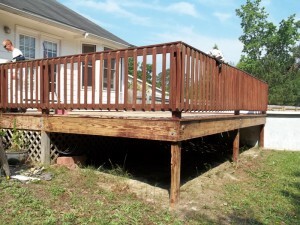 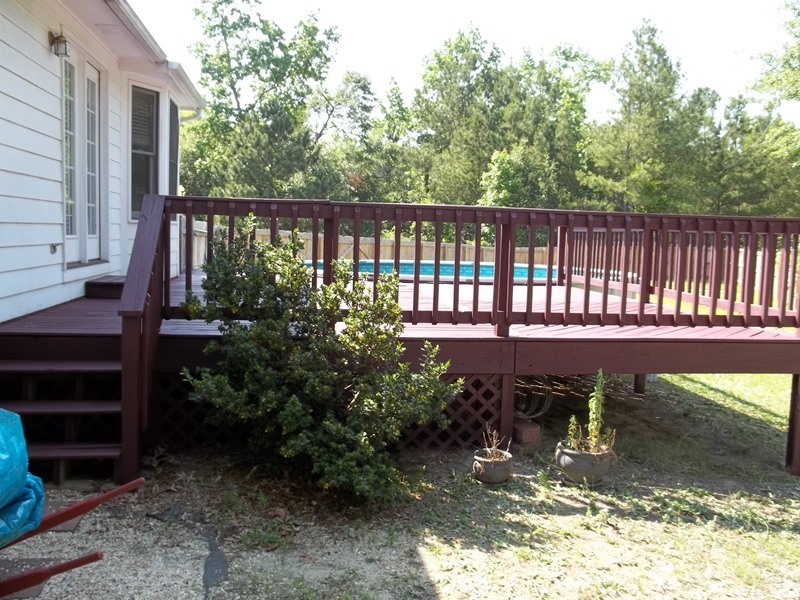 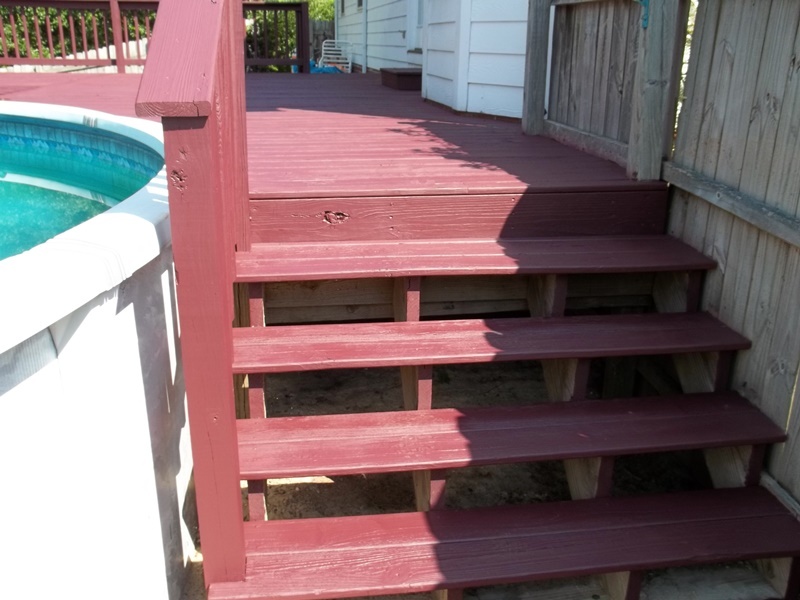 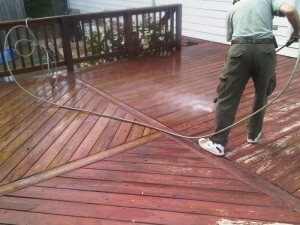 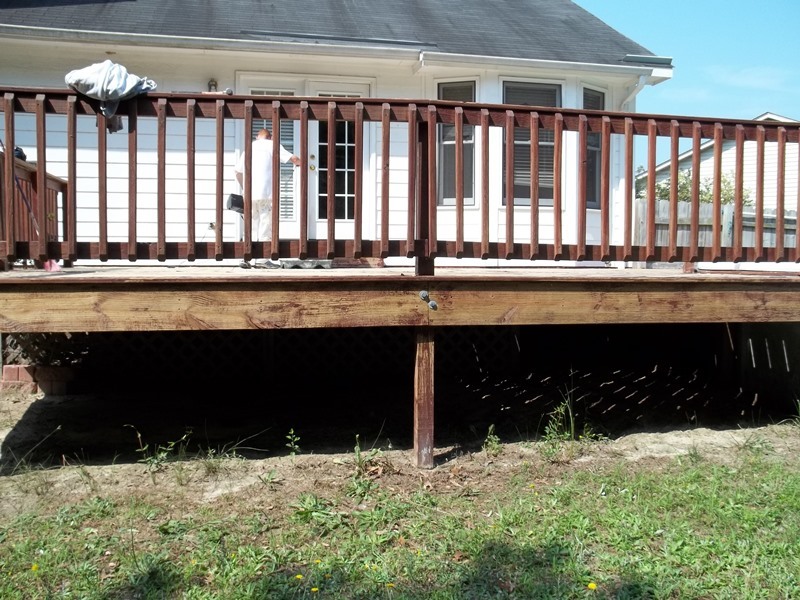 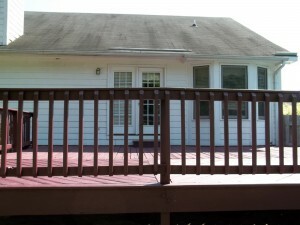 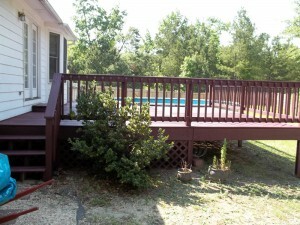 The problem was the deck was stained over a previous coating that wasn’t ready to be stained yet. 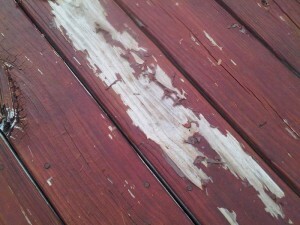 So the undercoat was repealing the top coat leading to blistering and peeling. 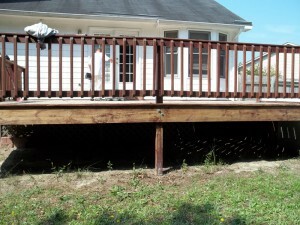 So we stripped what we could. 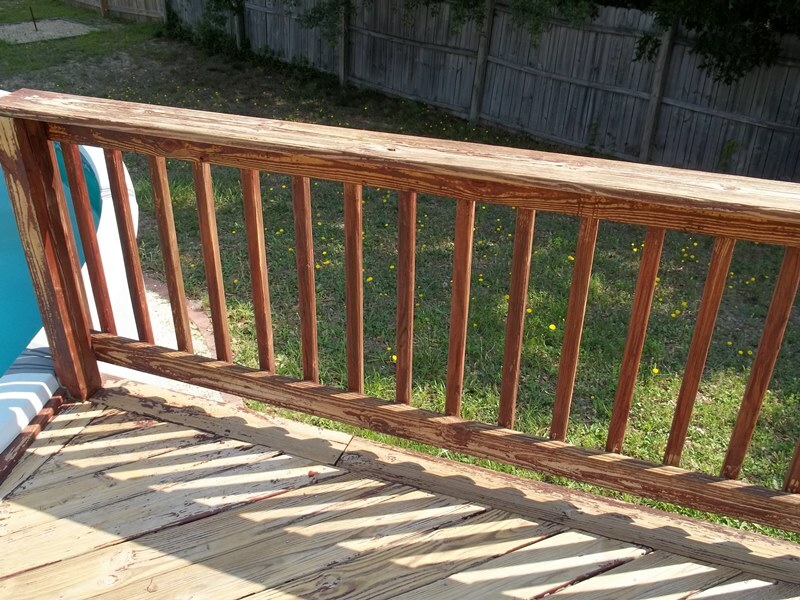 Pressure washed the deck using a special tip for concrete to help rid the peeling. 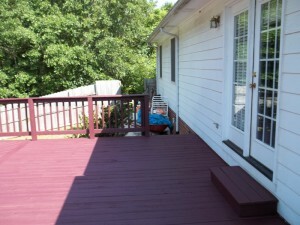 Once dry we sanded and drove on to making another proud owner of a Deck.